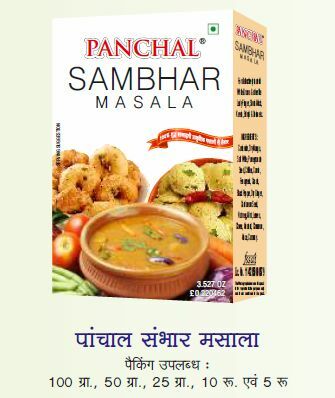 We bring forward a relishing variety of Sambhar Masala to the clients all over the world. The Sambhar Masala manufactured by us is specially prepared with 100% pure ingredients, to ensure optimum taste and flavor. It is widely used for preparing south Indian dishes and some other dishes. Our Sambhar Masala is prepared using advanced and modern machinery under stringent supervision of the experts. Available in varied packaging, our clients can avail this variety at competitive prices.